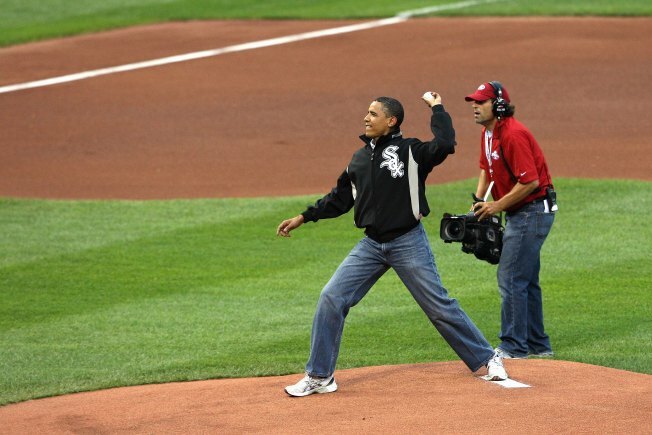 President Barack Obama throws out the first pitch at last week's 2009 MLB All-Star Game -- and commits a fashion faux pas in his "mom jeans." The bad news has been coming from all directions lately for President Obama: This week, three successive polls were released giving him bad news on his handling of health-care and other key issues, public trust, and whether he can actually bring about the overall "change" upon which he campaigned. But lost in all the analysis of Obama's policy agenda free fall was an arguably even greater example of how far the president has fallen from favor: the soon-to-be-infamous "mom jeans" incident. One week ago, the president threw out the first pitch in Major League Baseball's All-Star Game. Some eagle-eyed observers predicted that the commander in chief might have difficulty throwing a perfect strike -- based on a prior bowling event. But no one could have anticipated the major line of criticism being directed at Barack Obama. He wore -- gasp! -- "mom jeans" for his big moment on the mound in St. Louis. And, as is typical, this fashion faux pas went through what is now a de rigeur media cycle: bloggers comment on it/gets picked up by cable/goes back to the blogs. 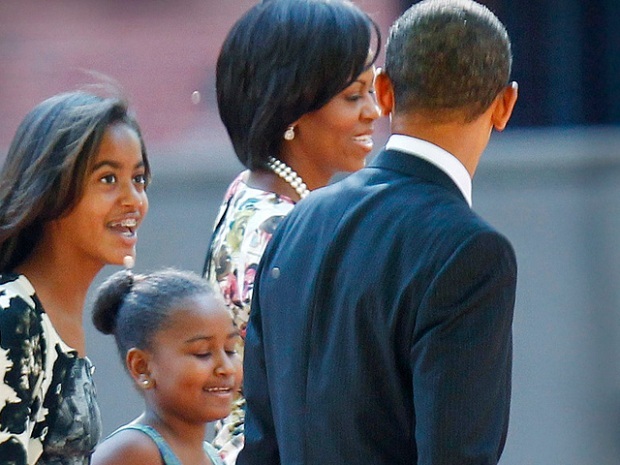 The "mom jeans" criticism may have started with a conservative blogger, but it went viral. It got to the point that, yes, the president even had to address it Tuesday in a health-care related event! How ignominious! Jimmy Carter had his metaphorical "sweater 'n' malaise" moment; Barely six months into his term and Barack Obama is admitting publicly that he looks "frumpy." This from the cultural hero "rock star" of a year ago? The coolness has given away to "frumpiness?" Not a good sign. The American people can deal with an under performing economy and rising unemployment -- if they think that their president is "cool." But "frumpy"? Meh. Of course, none of this should come as much of a surprise to regular readers of this site. A certain author noted months ago that Barack Obama was actually more Cliff Huxtable than Jay-Z. Come to think of it can't you see Obama curling back in the White House easy chair wearing the mom jeans -- and one of those eyesore Cosby sweaters? Yeah, we can all imagine it. Just bet the White House won't let any pictures get out.